I do not know what happened. Just after 10 minutes of getting those speeds bordering on extreme I bumped into another extreme, seeing one and twos in the kilobyte column. I ran the test again in the morning and got the same results. I sincerely hope it is a network error, which I am quite convinced it is. If it is, you wont have a problem with LIMES’s edge network. Digicel offers the most mature EDGE performance, however there are some shortcomings as expected. 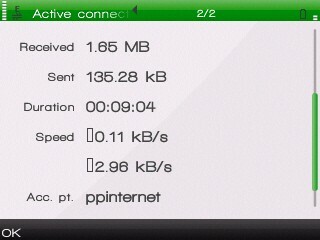 Those are pretty consistent with what you regularly get on a daily basis, it hardly ever falls below 15kbps. Digicel’s EDGE is the fastest on the island, reaching in the vicinity of 3G UMTS’ speed range of 300+kbps. 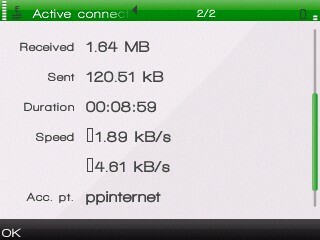 However while Digicel’s edge offers a consistent speed output, the edge itself is not all that constant. I only get edge 60-70% of the time which is disastrous in itself considering the network’s wide coverage. GPRS is limited to around 7kilobytes per second which is useless in itself without the boost of edge. This could be my area though but Digicel’s edge signal leaves a lot to be desired in the same area where LIME excels excellently. Lime is the most consistent network in terms of EDGE signal with a 95-99% EDGE coverage daily. To give an idea of how well it is; In the couple of times I have been able to use LIME’s network for an entire day I have only seen a fallback to GPRS ONCE and that lasted for less than 20 seconds. If the speed drops I noticed were just because of network problems, LIME’s edge system would get the prize of the best EDGE system on the island. Digicel’s EDGE is mature, fast and reliable- I have never experienced any glitches in the couple of months I have been using it. The main problem though is the all too frequent fallback to GPRS which should not be happening that frequently on such a network. And here ends the review of the EDGE system of Jamaica’s largest networks, remember this is a review of performance and so no price was mentioned. Horace is a military and tech enthusiast who spends most of his spare time listening to music or working on his many interests. He has a grasp of journalism and has been writing from he was 9 years old and has participated in several writing competitions throughout Jamaica. Its about time that Digicel and Lime steps up to 100% 3G speeds. What are they waiting on? The demands of the average Jamaican mobile web user is at an all time high. Para come?ar a ganhar dinheiro com seu blog, inicialmente, usar o Google Adsense, mas que gradualmente aumenta o seu tr?fego, manter a acrescentar mais e mais dinheiro fazendo programas para o seu site.